Sharjah: A woman was horrified to learn that a trusted colleague used her own surveillance cameras to spy inside her home. Police on Wednesday arrested the victim’s colleague, an Arab man in his 30s, who allegedly spied inside his friend’s home for several months. Lt Col Abdul Aziz Al Jarwan, head of the Organised Crime Department at Sharjah Police, said that the family in Sharjah had installed CCTV cameras to safeguard their home while they were away. “The wife asked her colleague, a technical engineer, to provide maintenance and repairs for the home’s surveillance cameras. But after he did so, the family started to get suspicious that they were being watched,” said Lt Col Al Jarwan. After several months had passed, the resident lodged a complaint with Sharjah Police to investigate the matter. “Through our technical team, we discovered that footage from the CCTV cameras were transferring data to an unknown recipient. An investigation was soon launched and police were able to pinpoint the location of the suspect,” he said. After taking legal action, Sharjah Police raided the suspect’s home and arrested the young engineer. “In the suspect’s home, we found a large computer that contained images and sounds from the victim’s surveillance cameras, which he used to monitor the victim and her family,” said Lt Col Al Jarwan. Based on the suspect’s confession, the accused was transferred to Sharjah Public Prosecution. 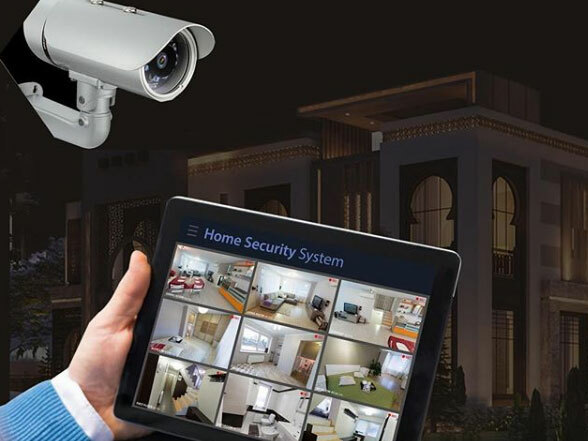 The Department of Criminal Investigation at Sharjah Police warned residents against hiring unprofessional companies or individuals to install and provide maintenance on residential CCTV cameras.